Posted on November 2, 2016 . 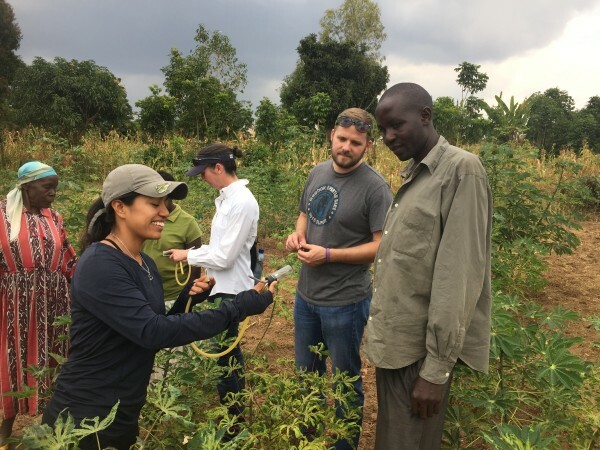 Cassava is an important food crop for millions of people in sub-Saharan Africa, but unfortunately this crop is facing a decline in production across the continent due to Cassava Mosaic Disease (CMD). I came to the BecA-ILRI Hub in August to work on a project funded by the National Science Foundation Partnerships for International Research and Education (NSF-PIRE) to analyze the evolution of the viruses that cause this disease. The purpose of this project is to understand how African cassava mosaic virus (ACMV) and East African cassava mosaic virus (EACMV), the causal agents of CMD, evolve during vegetative propagation of infected cassava plants versus being transmitted via whiteflies. It is our goal to understand how these viruses evolve in order to develop strategies that will hinder the development of more virulent strains and thus prevent future outbreaks of CMD. Because multiple species of whiteflies exist, my colleagues and I have focused our efforts on understanding the genetic make up of the colony to ensure that we have a single species for our experiments. Additionally, we established procedures for the propagation and growth of cassava in the greenhouse. We continue to lay the groundwork for pilot experiments that will act as the basis for our future work.